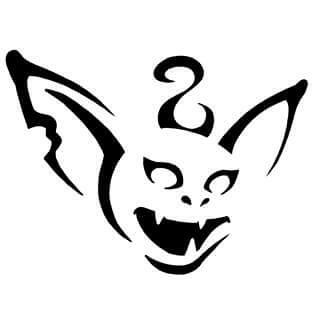 Lucky Goblin Games in Quincy, Massachusetts has announced its grand reopening event on November 24th and 25th. The store sells board games, roleplaying games, miniatures and accessories. Quincy, Massachusetts gaming store Lucky Goblin Games has announced its grand reopening event on Saturday, November 24th and Sunday, November 25th. The store sells board games, roleplaying games, miniatures and accessories and hosts regular board game and Magic the Gathering game nights. Lucky Goblin Games a husband and wife-run company, born out of a mutual love of gaming. When he was growing up, co-owner Seamus had a gaming shop in his community with an active community of regulars. When the shop closed down 20 years ago, Seamus dreamt of opening his own store. After meeting on an online gaming forum, Seamus and his wife Charlotte eventually combined their knowledge and love of gaming to open the store with the intention of creating new memories for people who want to escape the world from time to time. The store is hosting a special game-filled event on Saturday, November 24th and November 25th and invites old and new customers down for a day of drinks, snacks, board games and magic the gathering. The event is to celebrate their grand reopening, and there will be fun surprise competitions and prizes to be won. The store also hosts weekly themed game nights including a Magic the Gathering: Commander night every Wednesday until December 26th, Magic the Gathering: Pauper tournament and a general board game night every Thursday until December 27th and Magic the Gathering: Modern night every Friday until December 29th. Members of the gaming community in Quincy and surrounding areas have great things to say about the store. They’ve been praised for the atmosphere, game selection, knowledge and friendliness of staff, location and good variety of drinks and snacks for sale. Seamus and Charlotte invite everyone down to their grand reopening event November 24th and 25th to enjoy a weekend of gaming, eating, drinking and connecting with fellow gamers. Interested parties can find more information at the link above.